We often forget that India too is an incredible land of biodiversity, perfect for a luxury safari with a difference. You may not realise but India is in fact home to 88 national parks and around 490 wildlife sanctuaries, constituting almost 5% of the entire country. There are also 12 biosphere reserves that aim to conserve the diversity of India’s ecosystems, promoting research into long-lasting conservation. Accounting for 70% of the world’s biodiversity, India is rather impressively the only country in the world home to both lions and tigers. With the work of influential organisations, including WWF, there is a global community committed to doubling the number of protected wild tigers by securing funds to halt poaching in 12 of the most important tiger landscapes. Great news for the most iconic of cats and fantastic news for intrepid explorers keen to catch a glimpse in their natural habitats. From stays in luxury remote forest bungalows to beautiful tented camps in the Corbett National Park, there are numerous ways to get up close and personal with nature in both less obvious and more luxurious ways. Travelling through India there is a superb array of luxury safari options, offering hugely diverse opportunities to get closer to the animals, flora and fauna. One expedition you may wish to embark on is a walking and canoe safari. The Satpura Tiger Reserve in the central Indian province of Madhya Pradesh has a limited number of jeeps, instead favouring a more up close and immersive wilderness experience. You are likely to sight Leopards, Sloth Bear, Indian Wild Dogs, hordes of Indian Gaur, Sambhar and of course, the elusive Tiger. Experiencing this on foot certainly adds a sense of adventure and thrill to your journey. Another way to see nature at its very best - and more often associated with the Okavango Delta in Botswana is by boat. A unique way to view your wild surrounds and where you can view life unfold before you as you slowly glide along the waterways. 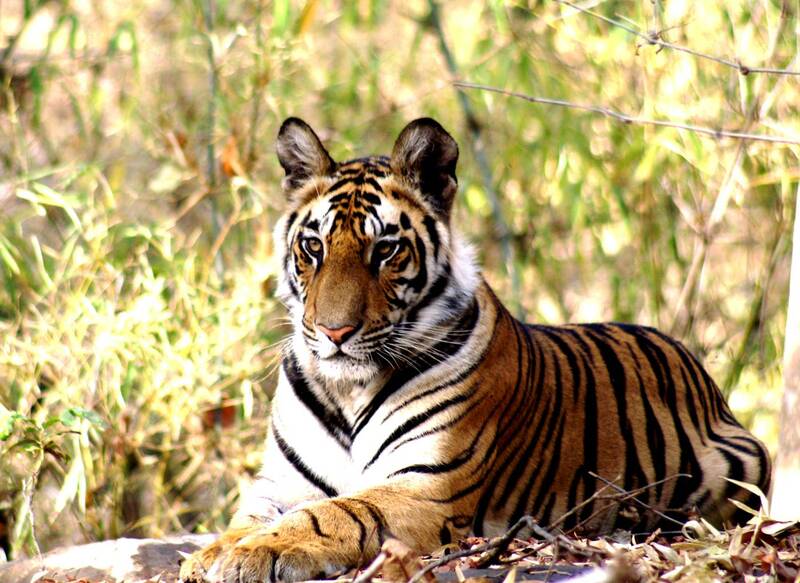 Get in touch if you would like to embark on an immersive Indian safari with a difference.